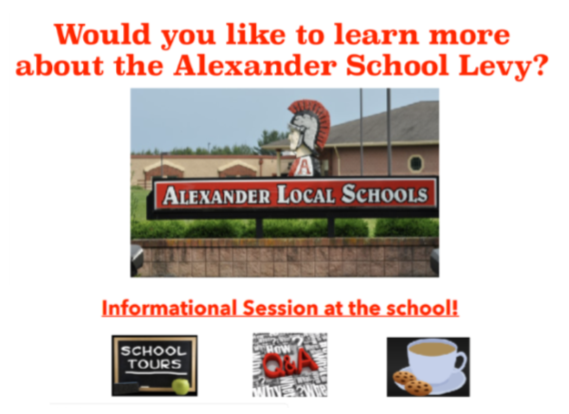 Join Alexander Superintendent Lindy Douglas and representatives from the school board for a chance to learn more about the school’s 1% earned income tax levy, ask questions, and tour the school facilities. Refreshments will be provided. The monthly school board meeting will begin at 7:00 pm and is open to the community as well.